This Mug Cake is so simple and quick. Also, it’s healthy and you only need to wash up the mug and spoon! If you want to make this vegan, leave out the egg and just double the quantity of coconut oil. 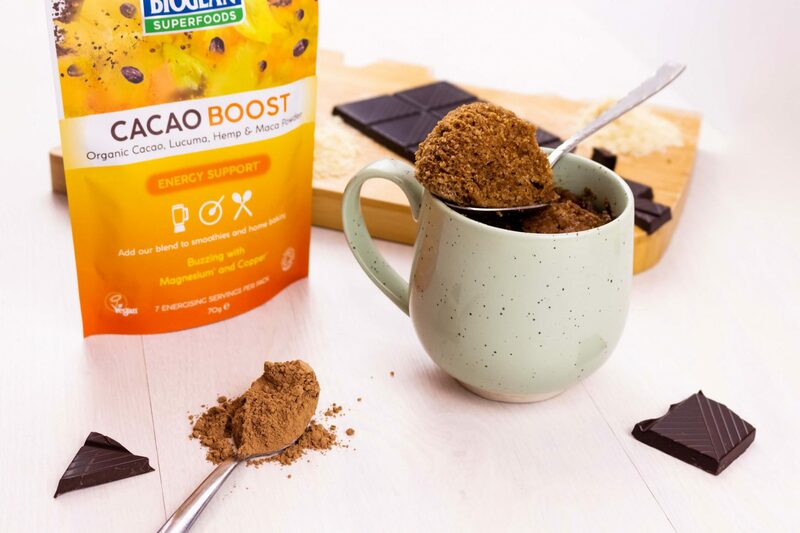 Cacao Boost adds a chocolatey flavour, so you don’t actually need any real chocolate. Add all of the ingredients into the mug you are going to cook it in, and stir well until you have a smooth batter. Place the mug into the microwave and cook for 60 seconds. If it looks a little undercooked, you can put it back in the microwave for 15-30 seconds.